See hundreds of whales in Monterey Bay! says that in her over 20 years of leading whale watches, she&apos;s never seen anything quite like this. On July 5, Black reported seeing 28 rare blue whales in Monterey Bay. As reported by Pete Thomas Outdoors, the whales haven&apos;t yet shown any sign of departing. Whale watchers this weekend spotted anywhere from 14 to 28 blue whales, 22 to 58 humpback whales, 60 to 200 Risso&apos;s dolphins, plus minke whales, Pacific white-sided dolphins, northern right-whale dolphins and harbor porpoises. Why so many whales? They&apos;ve come to Monterey Bay for the same reason so many visitors flock here year round: Monterey&apos;s great seafood. While most visitors prefer calamari or sanddabs, the blue and humpback whale are feasting on an all-you-can-eat buffet of krill. And while humans use a knife and fork to scrape up the last delectable crumbs of their dinner, whales sometimes make use of whale-watching boats to corral and herd the krill into their mouths, leading to close encounters like the one below (shot by Princess Monterey Whale Watching on a whale watch Tuesday afternoon): For an even fuller desktop whale-watching experience, see the video below, shot by Princess Monterey Whale Watching on June 7. The video can give only a hint of how incredible this whale watching experience is in real life. 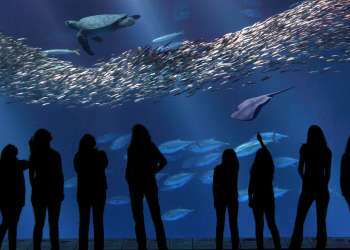 If you want, you can recreate Star Trek IV by visiting the Monterey Bay Aquarium, which appeared in the film, before seeing the whales on the open ocean. (Just don&apos;t dive into the Kelp Forest exhibit like Spock did!) Don&apos;t miss out on this rare experience; come to Monterey and see this magnificent convergence of whales for yourself! Local whale watch operators such as Princess Monterey Whale Watching and Monterey Bay Whale Watch are adding extra trips to their schedules for as long as the whales linger in Monterey Bay, but no one knows how long the whales will stick around. 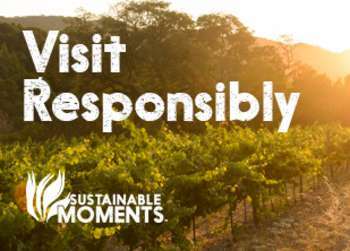 Book your excursion as soon as possible! Then read our Insider&apos;s Guide to Monterey Bay Whale Watching for everything you need to know before departing on your whale-watching adventure, from what to wear to what to bring and more!